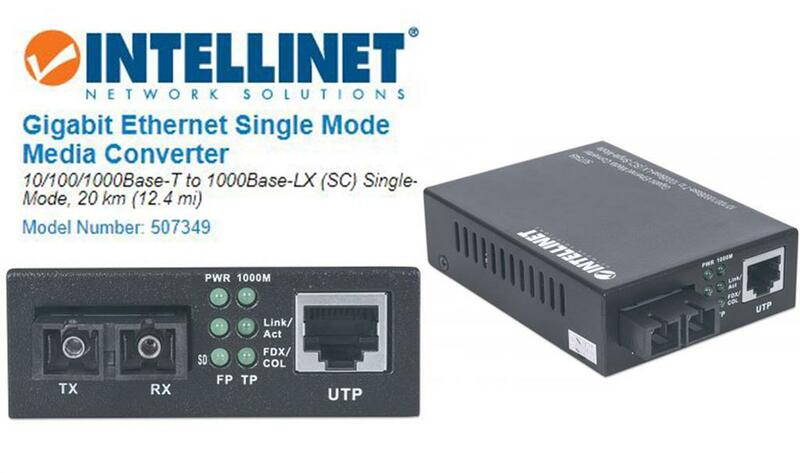 Intellinet Fast Ethernet Media Converter - 10/100Base-TX to 100Base-FX (ST) Multi-Mode, 2 km (1.24 mi), Retail Box, 2 year Limited Warranty. Play Games, Watch Movies and More at 300 Mbps! 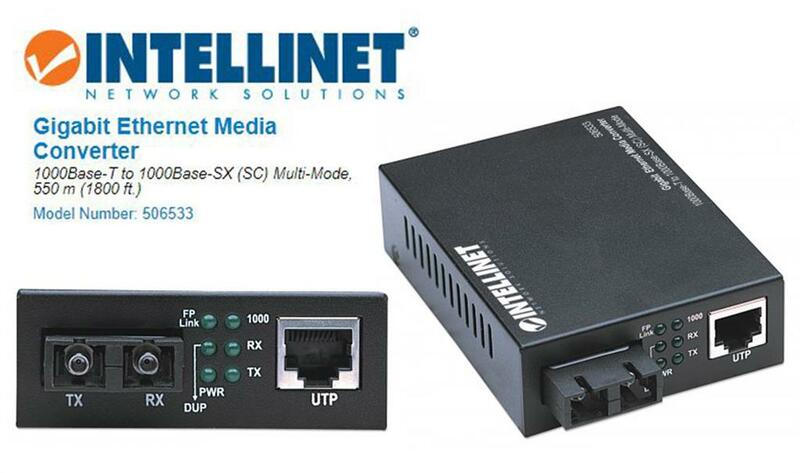 The Intellinet Network Solutions iStream HD™ is the ideal solution for connecting your IPTV, gaming console or other Ethernet-ready media device to your wireless home network. 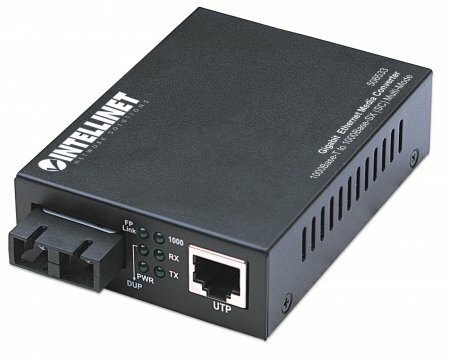 The iStream HD eliminates the need to locate your gaming system or other entertainment devices near an Internet connection, and because it uses a Cat5e / Cat6 cable to connect to your device, there’s no need to use up one of your valuable USB ports. Setup is incredibly easy, and the iStream HD works with all gaming systems, as well as all Web-enabled TVs, DVRs, Blu-ray players and other such devices with an Ethernet port. 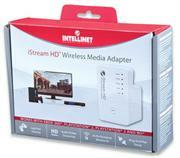 Setting up the iStream HD on your home network is completely hassle-free and requires no drivers or special software. 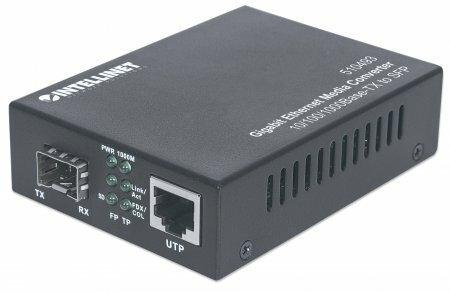 All you need to do is plug the iStream HD into a power socket near your entertainment center and connect it to your gaming system or other device with an Ethernet cable (1 m / 3 ft. Cat5e cable included). 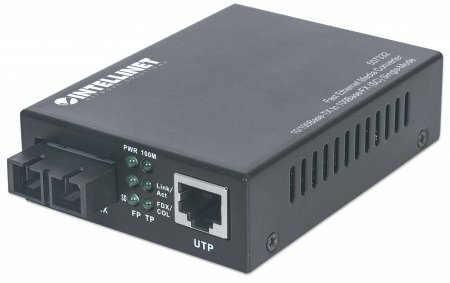 Then simply use the Wireless Protected Setup (WPS) button to establish an encrypted link to your wireless network*. The iStream HD allows you to enjoy a completely lag-free online gaming experience from your Xbox 360, PS2, PS3 or Wii system, or watch streaming video in full HD (1080p with 5.1 stereo surround)** on such services as Netflix, Hulu or YouTube via your Web-ready HDTV, Blu-ray player or other media device. An internal 2T2R MIMO antenna array and Wi-Fi Multimedia (WMM) regulate bandwidth and signal fidelity for optimum performance. 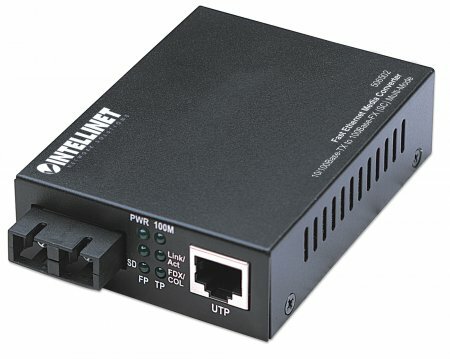 Many hi-speed wireless adapters are designed to connect to your gaming system or other media device via USB. The problem is you need USB ports to attach gaming accessories and storage memory, making USB ports a valuable commodity. 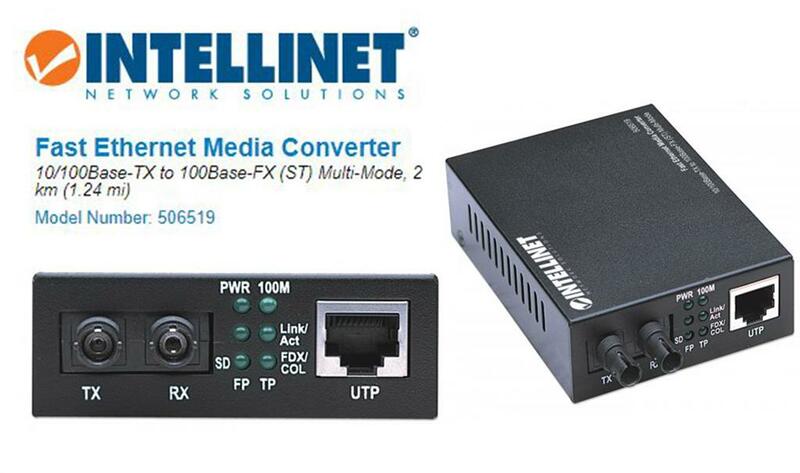 Because it connects via an Ethernet port, the iStream lets you free up a USB port while delivering superior, lag-free wireless connectivity at speeds of up to 300 Mbps***.